What if new artists could get their music discovered easier? Limelight Music will make it easier for musicians and listeners to find each other – our algorithm automatically pairs them based on the listener’s music taste. 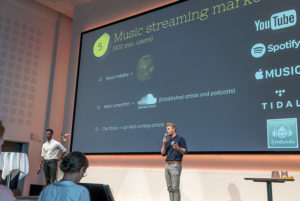 The goal of the Limelight platform is to create an environment that ensures that you get discovered as a talented music artist, state Quadar and Anders, two of the startup founders. Limelight Music has amazed the jury panel with their cutting-edge idea and received a great deal of attention as they were proclaimed the Mobile & Web winner of Venture Cup’s National Startup Competition 2017! 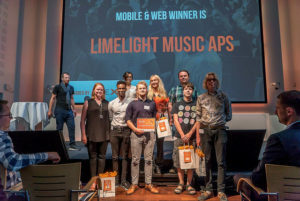 We’ve asked the members behind the innovative mobile app to tell us about their motivation to found their company, the challenges they had to overcome in the industry and the way they see the future of Limelight Music. Emil Lauridsen is the CTO and responsible for the backend development. He has 11 years of software development experience. 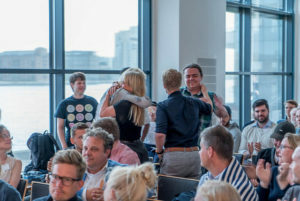 Aksel Jessen and Mikkel Jørgensen are responsible for the front end of the app. They will ensure the user experience will become excellent across all screen sizes and operating systems. Kristoffer Kabat is responsible for the website operating optimally, as well as save user data. Anders Nygaard and Qadar Ahmed share the relation to the musicians; ensuring that all of their needs are fulfilled by the platform. Additionally, they are head on development which entails marketing and administrative tasks among other. How have you started Limelight Music and what motivated you? We were motivated by all of our talented music friends who just could not get any exposure on the existing platforms, which simply was filled with music and little to no relation to relevant listeners. We wanted to create a platform where musicians could be sure to be heard by potential fans as well as making up-and-coming music pleasant and easy for listeners to discover – so we created Limelight Music, Quadar affirms. The biggest hurdle was to convince the musicians that there is no catch and that they keep 100% of the rights to their music which is very unusual in the music business, despite it being very beneficial for the musicians, Quadar explains. The hundreds of musicians who have already showed interest and uploaded their music to the site. The biggest satisfaction of working on Limelight is that it solves a very apparent and clear need for its users. The Mobile & Web industry is in rapid growth which is immensely exciting – we’re working hard on positioning Limelight at the forefront of this curve in the future, says Quadar. What did it mean for you to be the M&W category winner at NSC17? Winning the M&W category was a huge boost of morale for the whole team!, Quadar exclaims. Winning the M&W category gave us exposure on a national scale which naturally created a ton of potential partnerships, mentions Anders. 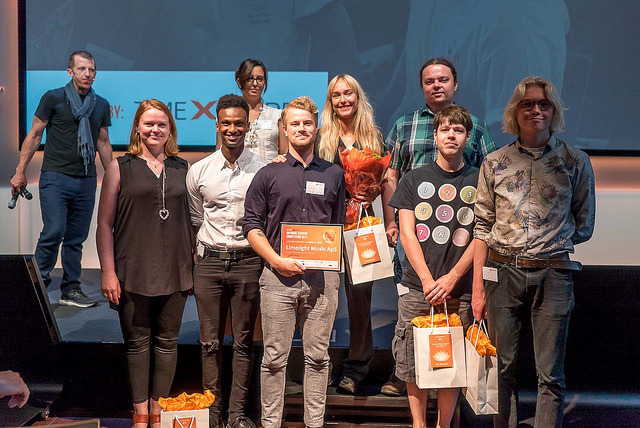 While Limelight still is in the early stages our main take away at this point in time for young entrepreneurs is to ask for something if you want it – you never know until you ask, Anders states. The future looks bright and exciting as the Limelight app will launch in fall 2017, so the listeners can finally listen to the many tracks of the artists, Anders affirms with enthusiasm. Find out more about the music mobile app here and upload your music if you are an artist who wants to get discovered!